The winners for the Semester 1, 2019 photography competition were announced on JACdigital’s Facebook Live on Friday the 12th of April. 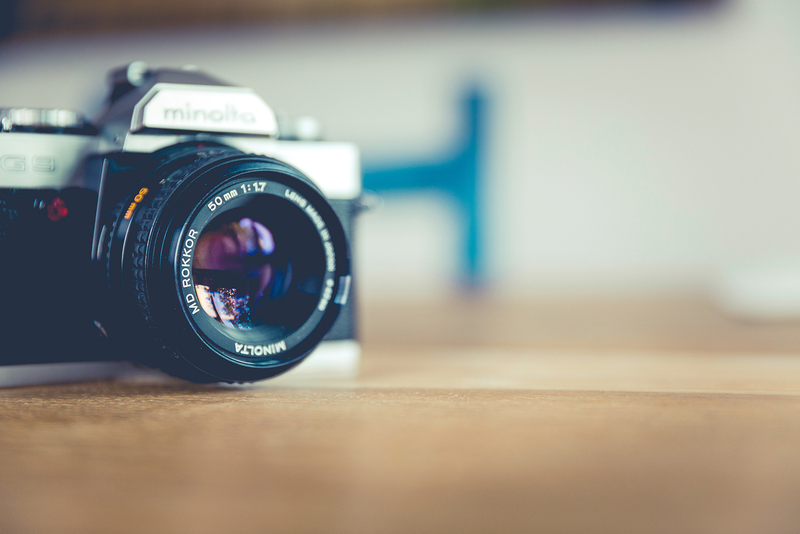 Judged by three professional photographers – Marc Pricop, Marty Pouwelse and Alynna Wong – the entries were creative, technically excellent and spoke well to the theme. Entrants were invited to submit entries on the theme “A Day in the Life…”, to be interpreted however they saw fit. The winner and runner-up are below and you can also watch the announcement video. A massive congratulations to Josh & Alys on their entries, and to all the entrants this semester. Keep an eye out for the competition in future semesters. The photography theorist David Bate related the now common photographic notion of the ‘Decisive Moment’ with a much older idea in painting: that of the Peripeteia. Otherwise known as the ‘pregnant moment’, it deals with the issue of depicting a passage of events- a past, present and future, in a single image. From an ordinary street scene, this photograph does just that. Lines converge through careful framing on the only point of movement in the image, and then allow the eye to take a pleasant stroll throughout the rest of the photograph. The man in blue reaches down while the man in the hood reaches up and at the same moment the gaze of the lady with the ice cream sends us back to the point at which they haven’t quite connected, although we know they will. 1/125 of a second later and this moment would have been missed. 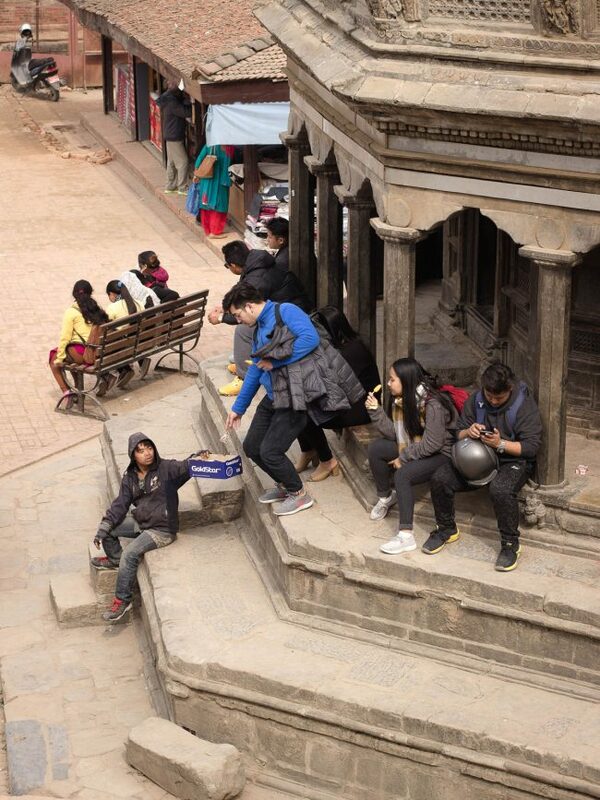 While sitting in a cafe in Kathmandu, Nepal, I noticed a young man making his way through the temples. As he chanced upon tourists, he would lethargically take his place on some stairs or against a wall and push his cardboard box towards the unsuspecting individual. This is his day-to-day. In the 1950’s the Australian painter Sidney Nolan was sent by the Courier Mail to far North Queensland to cover extreme drought. Rather than returning with the cliches we’ve come to expect from contemporary news reportage during droughts, the photographs he brought back depict a strange, surreal landscape that exists somewhere in the place where the wide blue sky and even wider bare earth meet. The Sheep in this photograph are emerging from somewhere in that vast and strange middle ground, through the fog that separates dreams from reality. 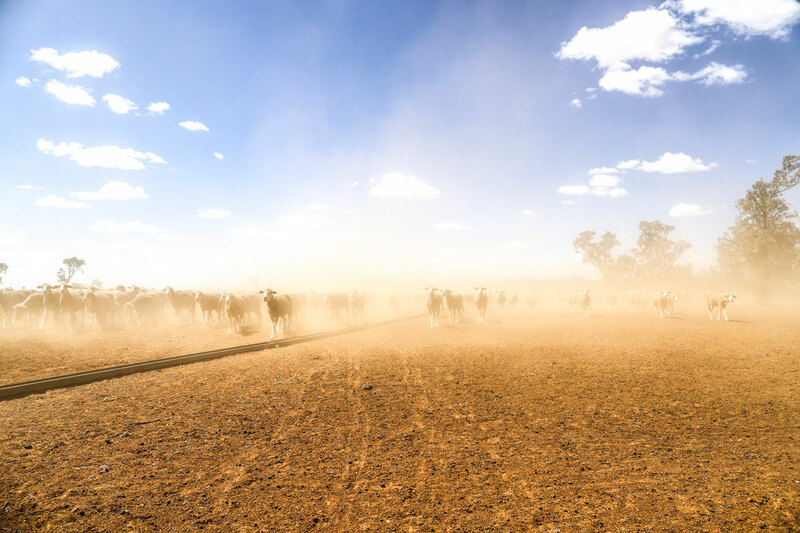 This photograph ditches the tired and overused representations of the inner Australian landscape in drought to reveal something deeper and more nuanced. In the midst of the third year of severe drought, sheep rush towards the feed trailer in anticipation. Feeding has become a rigid daily routine on ‘Wargandinna’ in north west NSW.